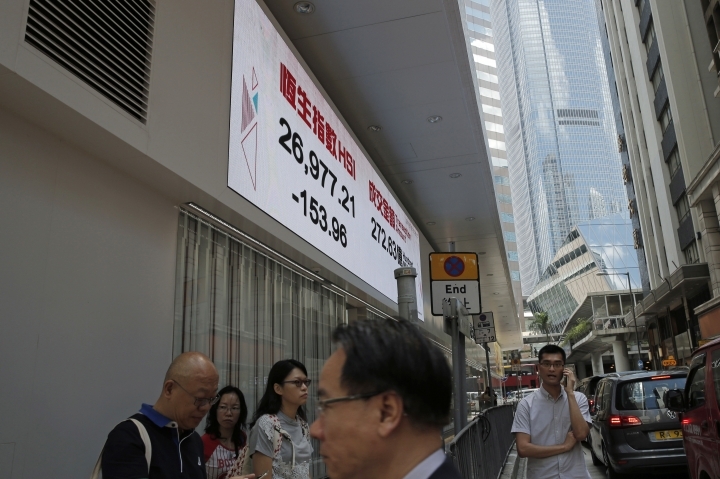 HONG KONG — Global stocks slid on Friday as underwhelming earnings from Amazon and Twitter weighed on technology companies. 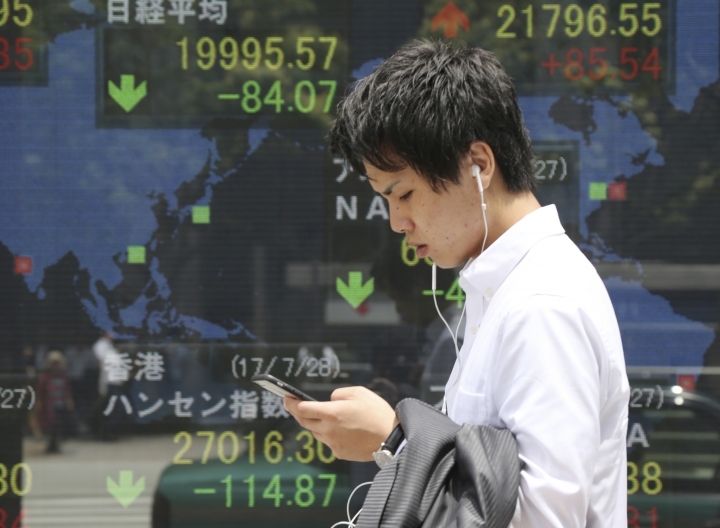 KEEPING SCORE: France's CAC 40 lost 1.2 percent to 5,124 and Germany's DAX shed 0.5 percent to 12,152. 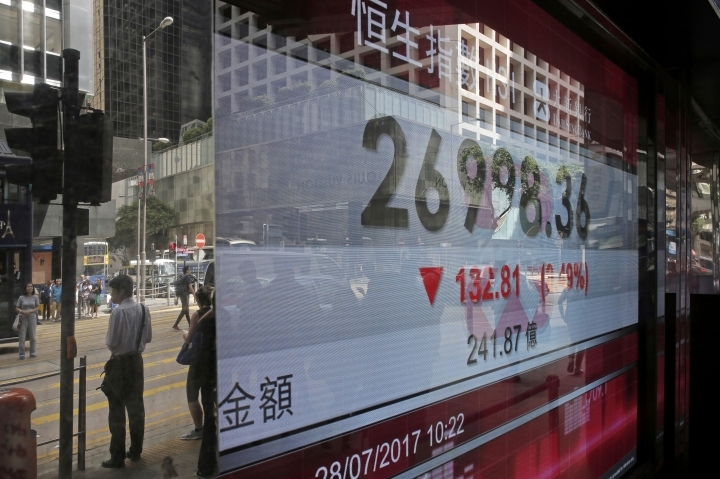 Britain's FTSE 100 fell 0.7 percent to 7,388. Wall Street was poised to open lower. Dow futures were down 0.1 percent and broader S&P 500 futures sank 0.3 percent. EARNINGS SEASON: A swoon in technology stocks on Wall Street was setting the tone for trading in markets more broadly. Twitter plunged 14 percent after it reported no growth in users while Amazon fell 0.7 percent as profit missed expectations. Investors were also assessing other earnings reports, including by Japanese automaker Nissan Motor Co., which reported trading quarterly profit dipped 1 percent on rising costs and slowing growth in China even while sales of its alliance with Renault SA and Mitsubishi Motors Corp. took the global lead in vehicle sales. ECONOMIC OUTLOOK: Orders for durable U.S. factory goods posted their biggest gain in nearly three years last month. The uptick in orders are a good sign for the U.S. economy, though the figures aren't as impressive as they first appear because most of the increase comes from a big jump in aircraft orders, which are typically volatile. Looking ahead, markets are expecting the estimate of U.S. second-quarter GDP growth later Friday followed by the latest China and U.S. monthly purchasing managers' indexes and a U.S. jobs report, all of which the Fed will take into account when deciding on interest rates. MARKET VIEW: "We're just in one of those patches where there's a lot of conflicting signals coming through the markets and we're stuck in the cross currents," said Stephen Innes, senior trader at OANDA. "People are really having a tough time coming to grips and obviously the data points are going to be the key pivot points" for market sentiment, he added. 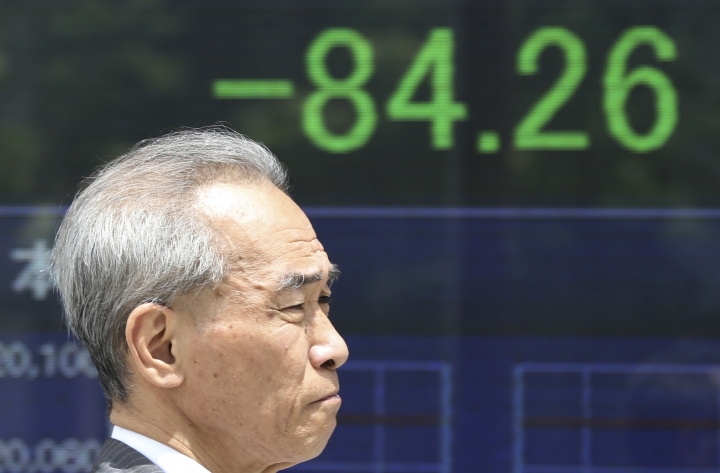 ASIA'S DAY: Japan's benchmark Nikkei 225 index sank 0.6 percent to close at 19,959.84 and South Korea's Kospi slumped 1.7 percent to 2,400.99. 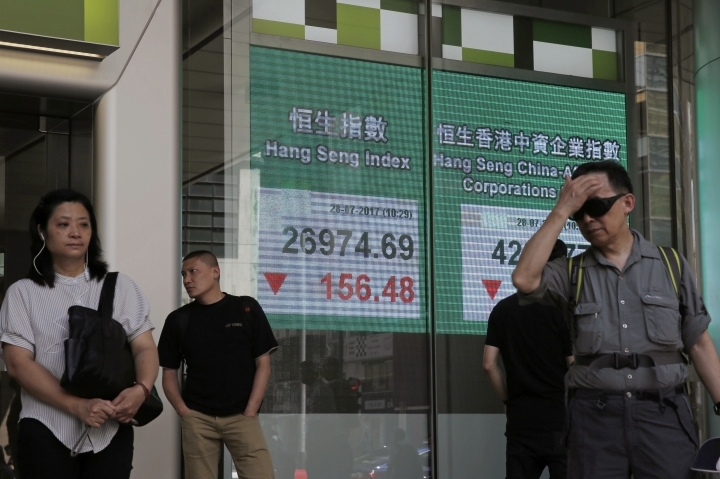 Hong Kong's Hang Seng lost 0.6 percent to 26,979.39 while the Shanghai Composite index in mainland China edged 0.1 percent higher to 3,253.24. Australia's S&P/ASX 200 tumbled 1.4 percent to 5,702.80. Benchmarks in Southeast Asia were mixed. ENERGY: Benchmark U.S. crude rose 1 cent to $49.05 a barrel in electronic trading on the New York Mercantile Exchange. The contract rose 29 cents to settle at $49.04 a barrel on Thursday. Brent crude, the international standard, gained 16 cents to $51.65 a barrel. CURRENCIES: The dollar weakened as the U.S. Senate vote against a repeal of the U.S. Affordable Care Act suggested the government might have trouble passing other reforms, such as tax cuts. 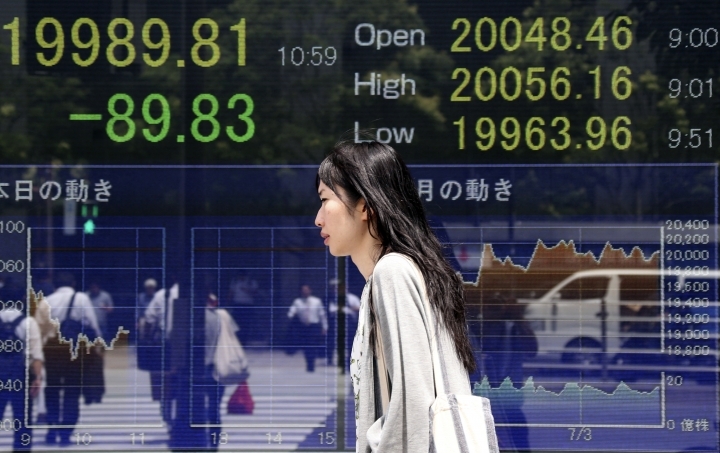 The dollar fell to 110.89 Japanese yen from 111.27 yen late Thursday. The euro rose to $1.1750 from $1.1679.